>So February has practically come and gone. I can’t believe I had time to do anything Valentines related but here’s a brief overview. Wish I would have posted these earlier but MY LIFE IS SO CRAZY. Remember my Christmas wreath? I took the decorations off it leaving the red and white ties. 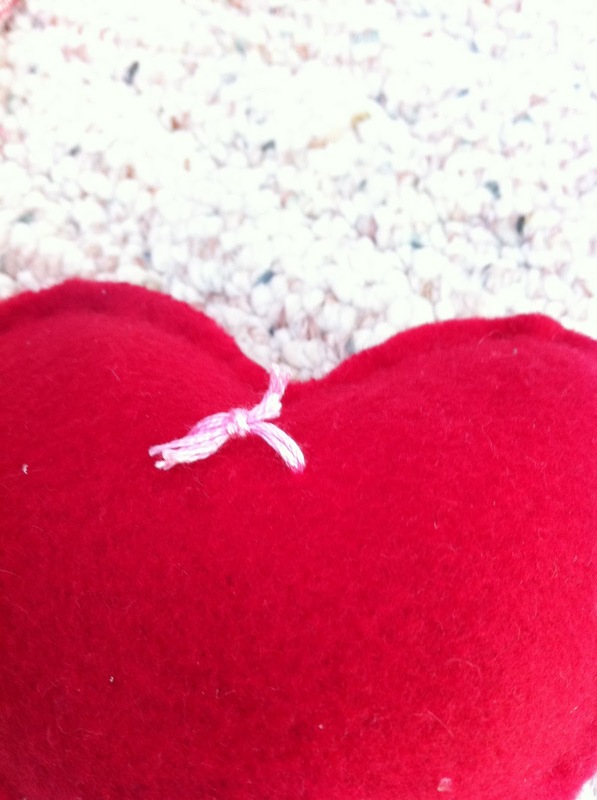 sewed a small loop on the back of the heart and used a twist tie to attach to wreath. 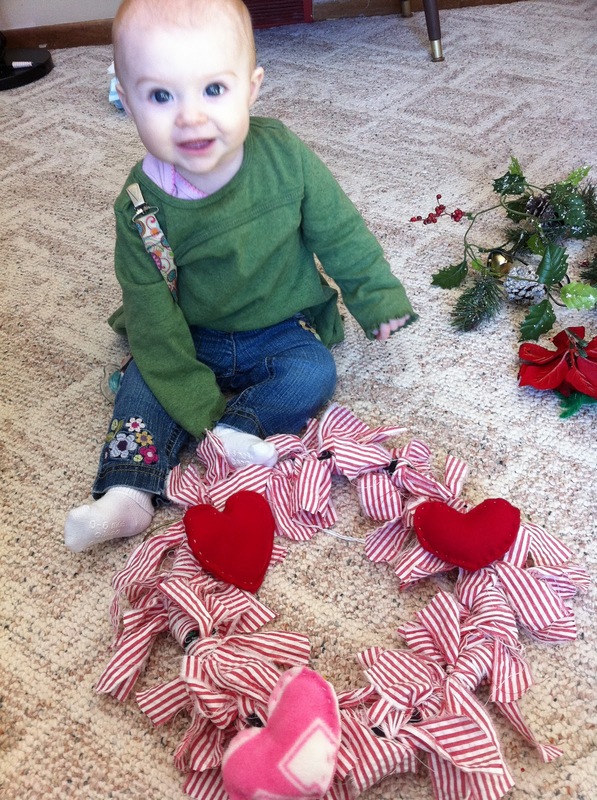 Isn’t my little helper getting so big? 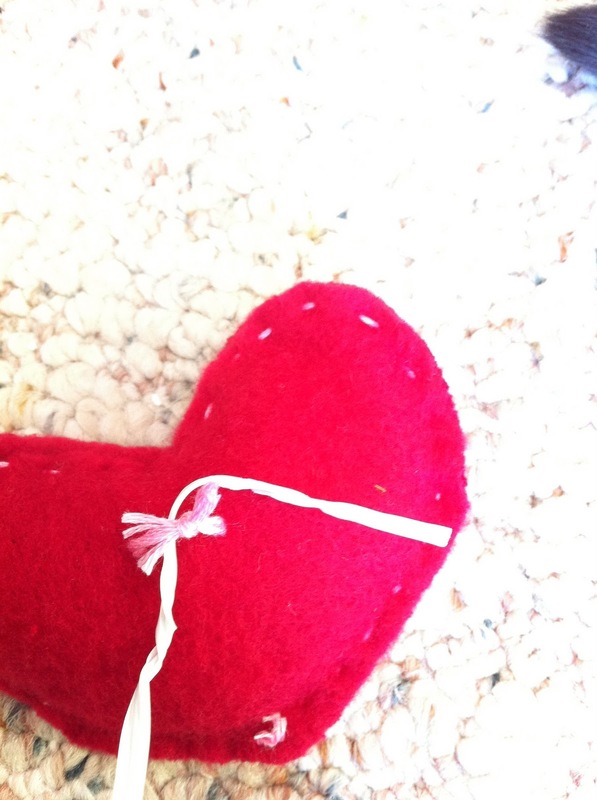 I ended up having work on Valentines day but still wanted to make it special for my husband. AJ and I put a lasagna in the oven and decorated the dining room table. 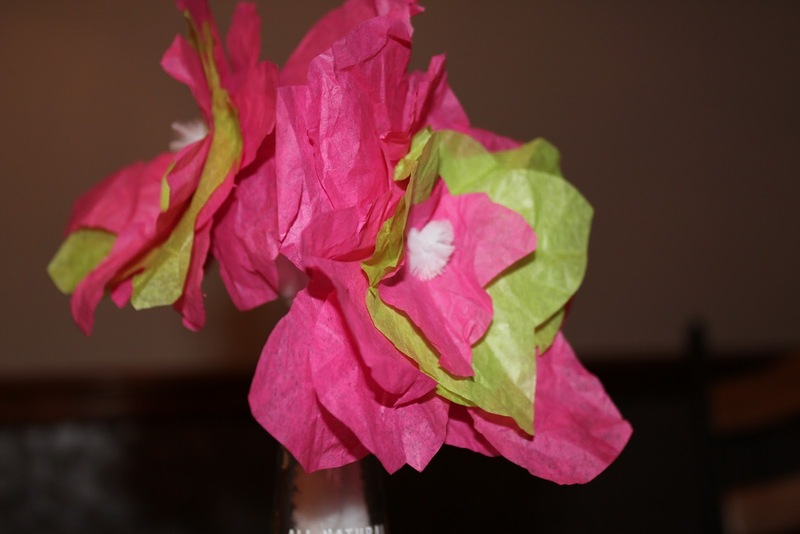 We used twin bed pink sheet for a tablecloth. 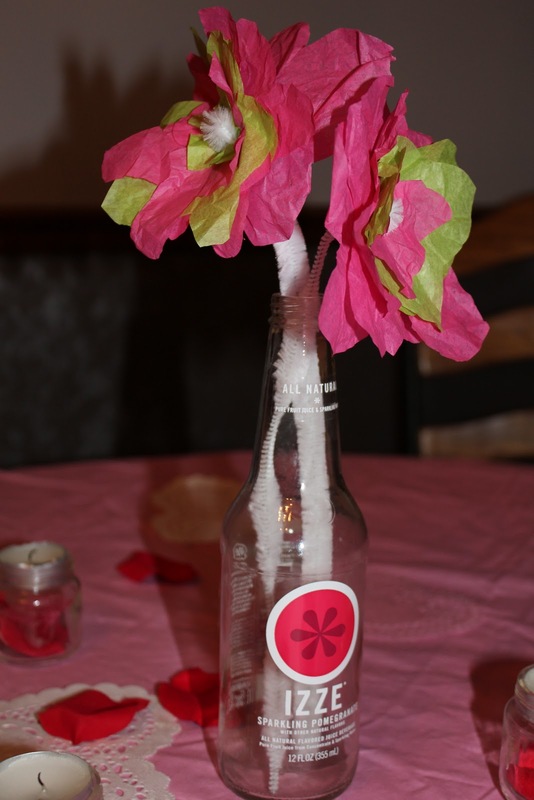 We made flowers out of pipe cleaners, tissue paper, and an izze soda bottle. 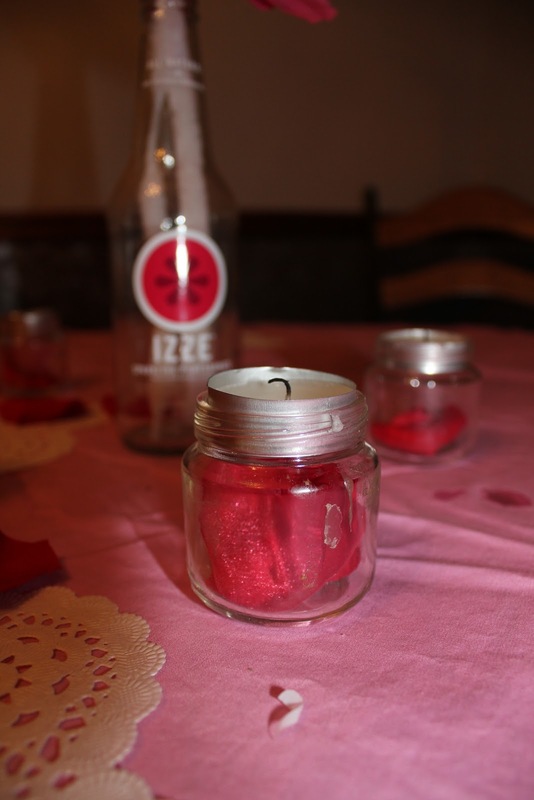 Then we peeled the labels off baby E’s food jars and put fake rose pedals in them. Top with tea light candle and they make for pretty little lights! 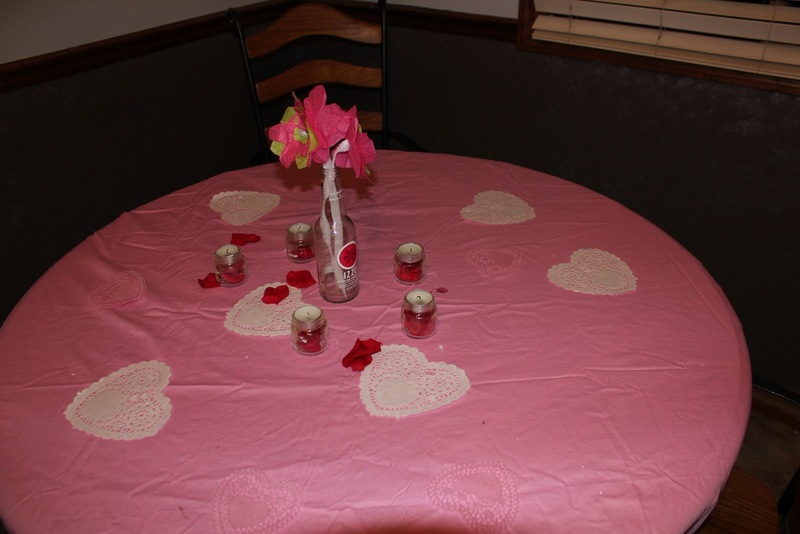 We found a Pandora radio station on my laptop set to romantic french music and sprinkled some rose petals and heart doilies to fancy the tablecloth. My husband came home to a pretty lil 4 year old in a fancy dress who escorted him to a table for 2. >That's so special, Abbey! Good thinking!